FIN British Gold Tobacco is a rich and refined tobacco vape juice inspired by the iconic taste of premium British tobacco. British Gold Tobacco is ideal for tobacco lovers looking for a smooth and authentic flavor. 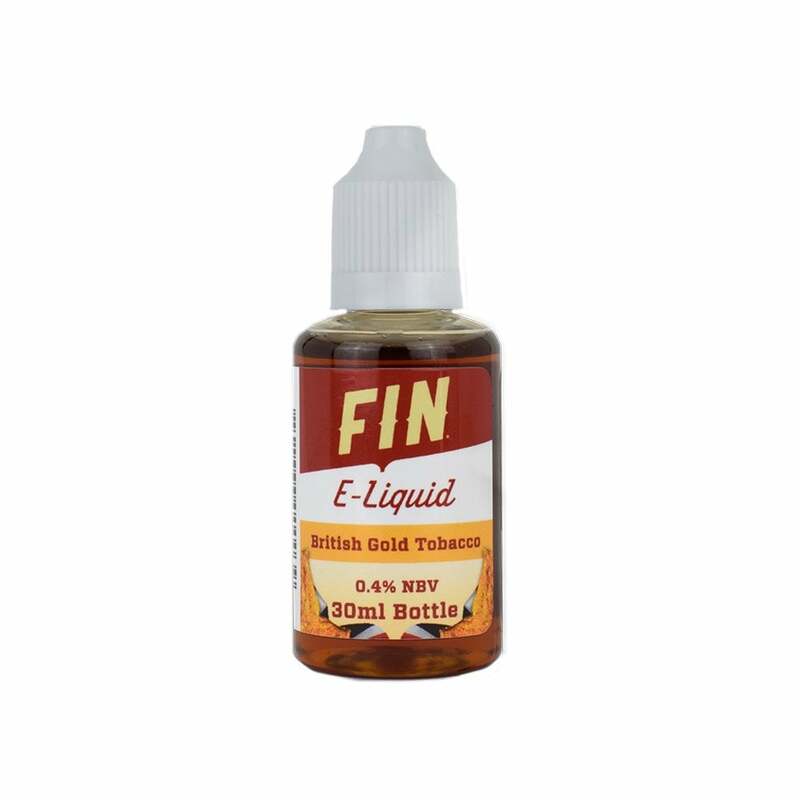 FIN vape juices come in 30ml bottles, and have a nicotine strength of 4mg (0.4%). FIN vape juice is ideal for use in your vape pen starter kit or refillable pod mod.